Providing feedback is important, not only to customers but also to the company employees and the owner of the business company. When customers provide feedback, they are giving out tips and suggestions on how the business can be improved while when employees provide feedback, they are introducing new ideas and their satisfaction rating to the company management. On the other hand, the business company will be able to construct effective plans to address both the concerns of their clients and employees with the feedback provided to them on a regular basis. With this, the business company must distribute and provide feedback forms to their consumers and keep these completed documents as part of the company’s relevant data collection and be protected in their record-keeping enforced regulations. 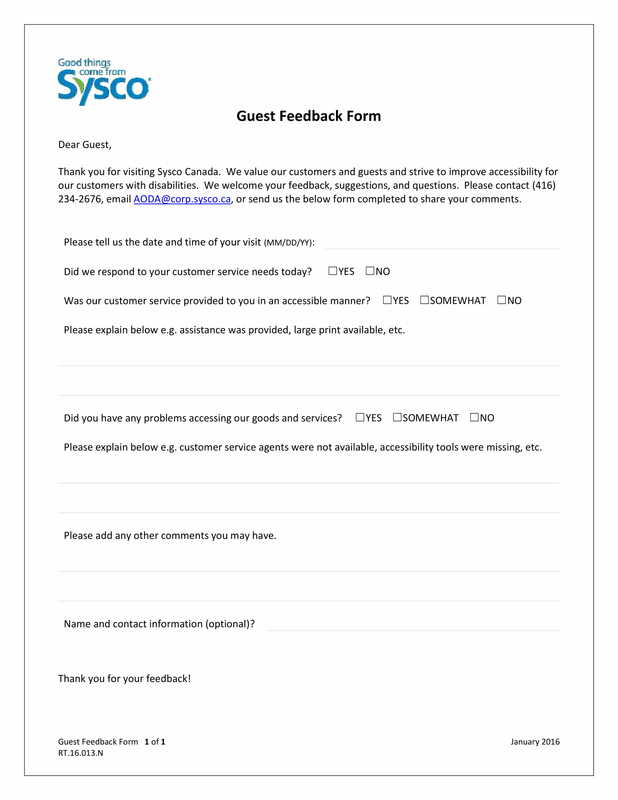 What Are Customer and Guest Feedback Forms? Customer and guest feedback forms are the documents that are given by a company to their consumers and the people who request for their services. These documents can either be in a small slip or in a whole paper depending on the needs of the company. Some customer and guest feedback forms are used separately by companies since a customer is different from a guest. Customers are individuals who purchase the goods and services of a business company while guests are people who stay within the premises and facilities of a company, usually in hotels and resorts. However, there are also companies who combine the contents of customer and guest feedback forms in order to acquire a greater range of ratings and feedback from their consumers. On the other hand, formats are also considered when making customer and guest feedback forms. This document can either be in a portable document file format (PDF) or in a word document file format. For customer and guest feedback forms in PDF formats, the company can incorporate the file into their websites as well as send the file to their customers’ email addresses. For customer and guest feedback forms in word document file formats, the company can print out the form and allow their customers to fill it out personally within their business premises. Nonetheless, both of these formats promote an effective collection of data for the feedback survey procedure of the company. 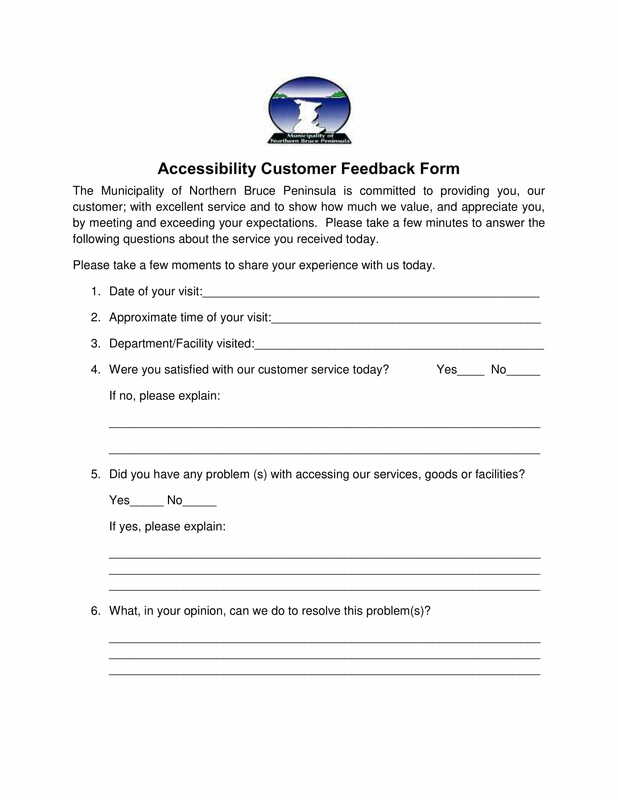 This feedback form should only be used by companies or organizations who aim to acquire a feedback about their ability to provide access to various services and facilities for their customers. The form will have the date of when the customer visited their office or establishment, the type of facility that the customer visited, the overall customer satisfaction feedback, as well as the problems that were evident during the customer’s visit. In addition to these details, the form also caters the customer’s phone number and email address in case the customer prefers to obtain updates and promos about the facility. Private beach resorts that have hotels and facilities where guests can stay use this type of feedback form. 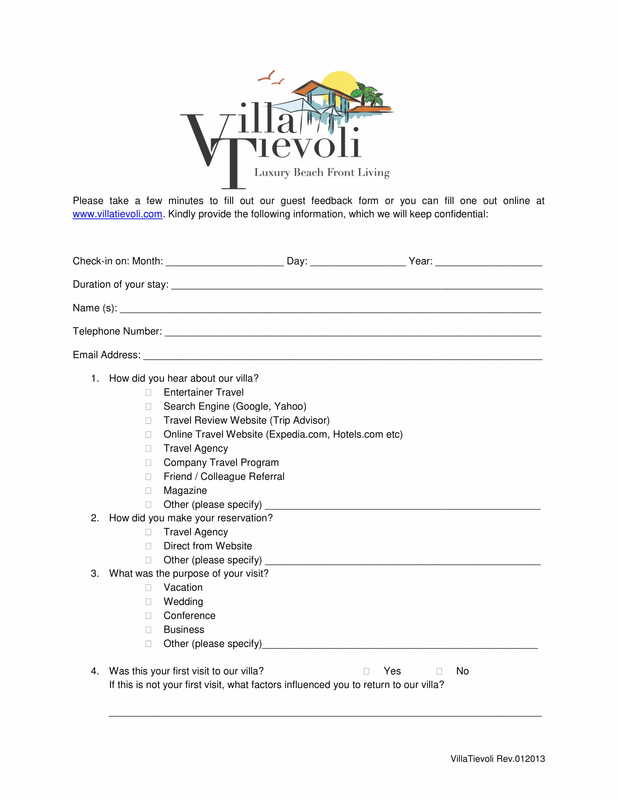 The form allows the beach resort guest to indicate the date when he checked in the resort and the duration of his stay along with his general information including his name, phone numbers, and email address. After the data entry of the guest’ details, a feedback questionnaire is enlisted on the form which will determine how the guest knew about the resort, how a reservation was made, the purpose of his visit, ratings of food, services, and facilities, and the overall performance of the resort’s staff. Cafe restaurants and bars also use cafe customer feedback forms in order for them to know if they were able to meet the expectations and needs of their customers. 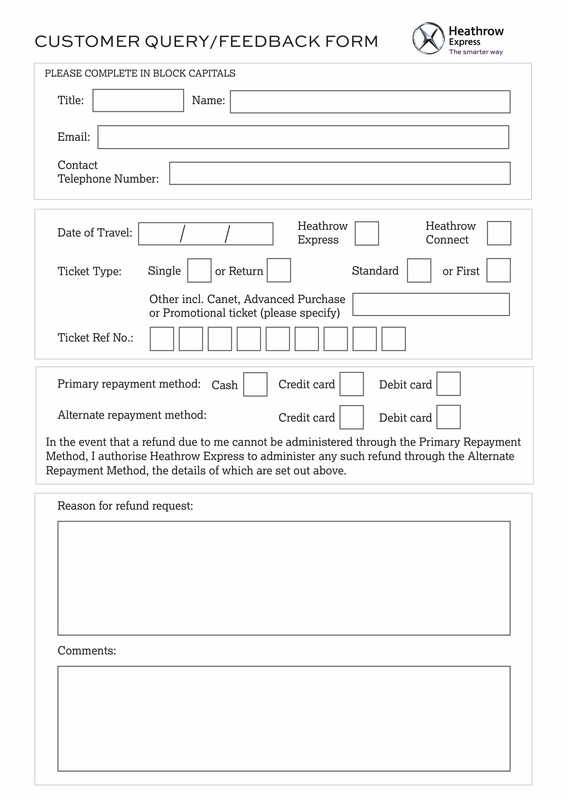 Compared to other feedback forms, this document only has a single page that promotes an ease of use and a quicker process of gathering the feedback. 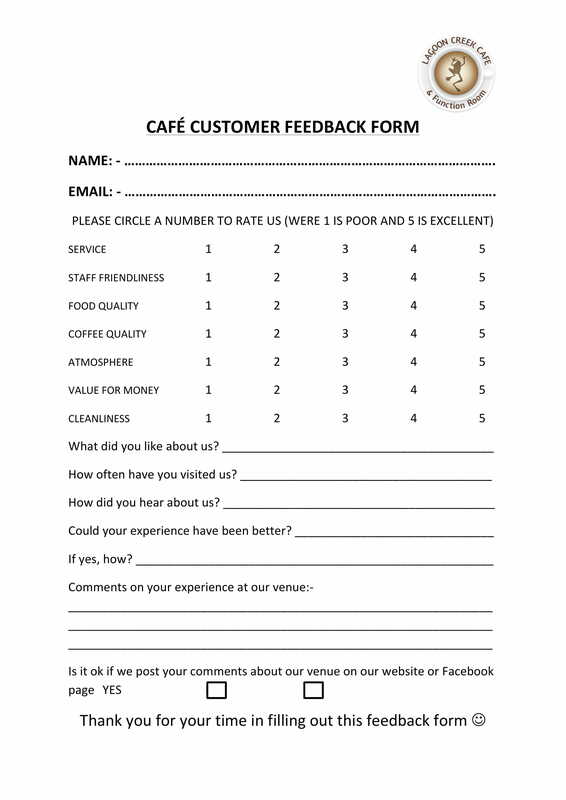 Contents of the form include a rating scale for the factors which needs the customer feedback, a list of questions that focuses on the likability of the cafe, and an area where the customer can indicate whether he will be posting comments on the social media site to advertise and introduce the cafe to his colleagues. 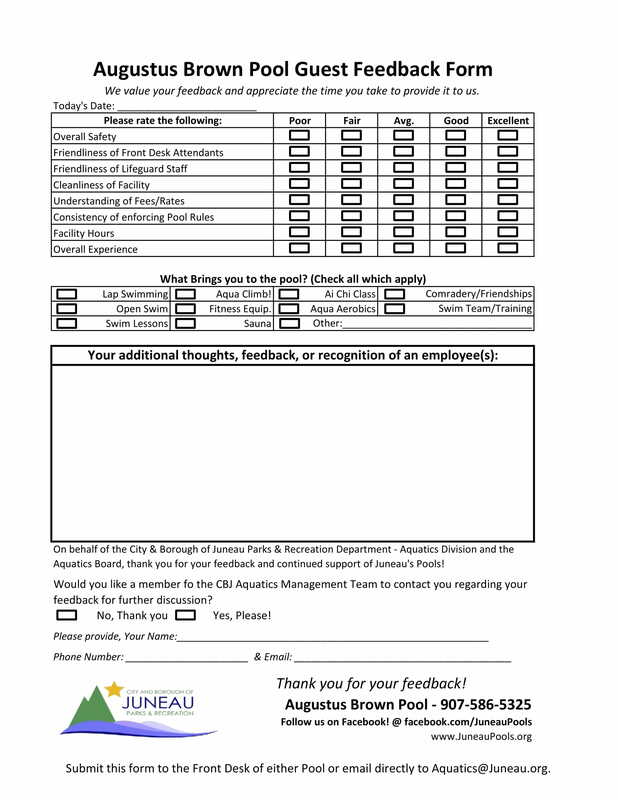 Most feedback forms come in a whole sheet of paper; however, there are also feedback forms that are compact in size and only collects fewer data for a feedback survey. This is known as a feedback slip wherein the document is half the size and obtains the contact information of the customer as the primary section of the document. The second section of the form centers on the additional instructions that the customer will request for the transaction he needs from the company. These instructions are also accompanied by the customer’s feedback and inquiries along with the list of attached documents to complete the requested transaction. To complete the form, the customer must affix his signature on the allotted space in order to indicate that the request was done legally with the presence of the company’s assigned representative. The questions that customers ask a company or business enterprise is known as a customer query. With this, a customer query feedback form must be filled out by the customer in order to collect the relevant information of the customer, his requests, and queries. Questions regarding the company’s repayment methods and refund policies are the most common aspects that customers ask as an assurance that they are guaranteed with a quality service and purchase. Comments can also be written on the form for further description and reason why the customer provided the feedback and asked the query. 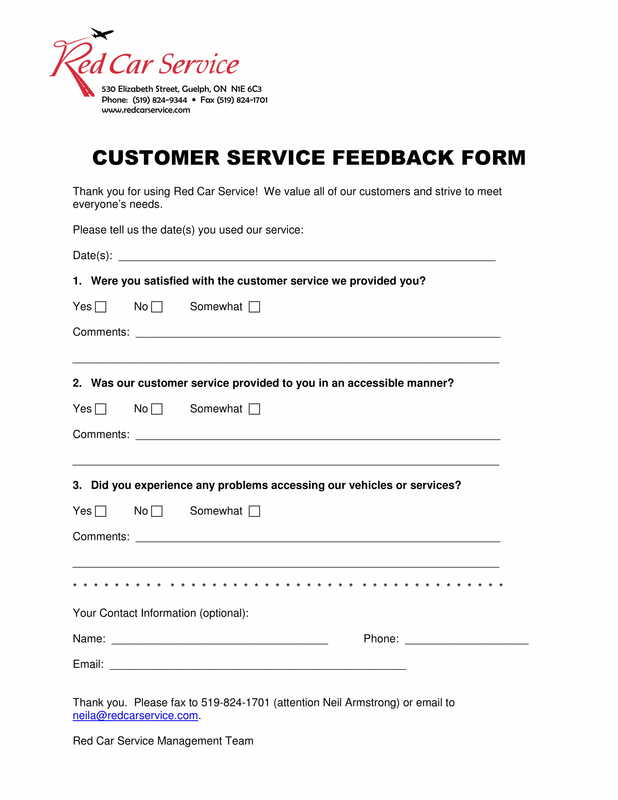 You may also see sample service feedback forms. This type of feedback form can be used by any company and at any time of the year. In comparison to the aforementioned feedback forms that collects the respondents’ data and information, this feedback form only has a set of questions and a comment section. The questions focus on acquiring the customer’s ratings with regards to the helpfulness of the staff, the efficiency of the service procedures, the knowledge of the staff, appropriateness of the provided leaflets, and the overall experience of the customer when transacting business with the company. 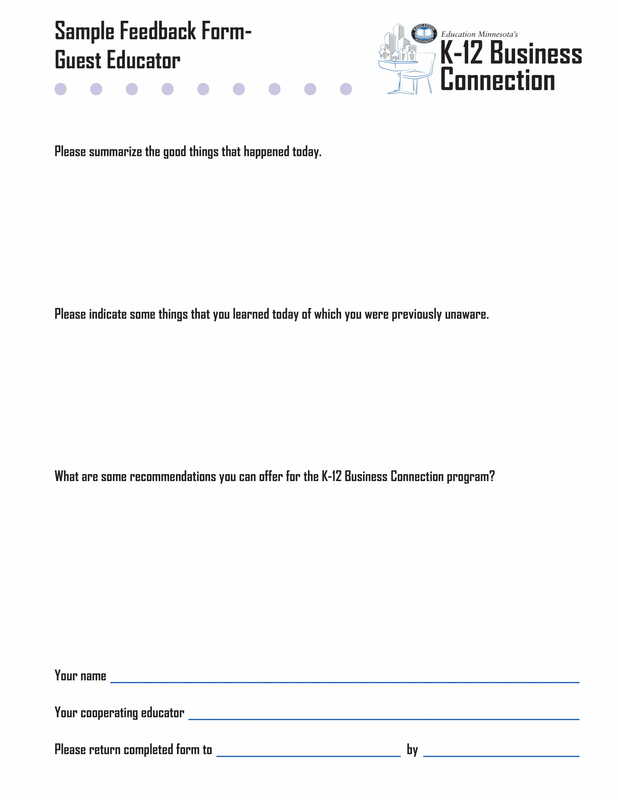 This customer feedback form is for business companies that centers on providing services to their clients. The form will have the date of when the customer acquired the services along with three questions that have comment areas at the bottom of each item. 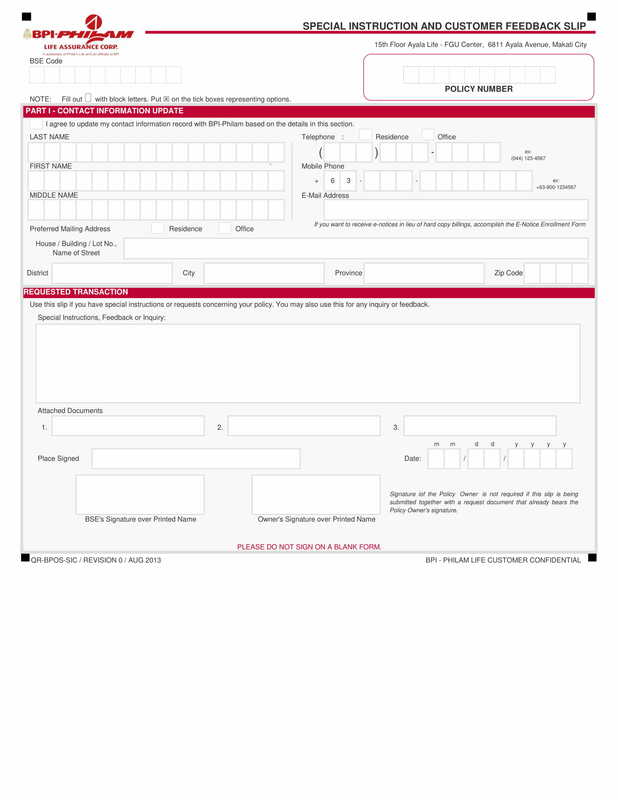 An optional section is also incorporated on the form which is for the customer’s contact details such as the customer’s name, email, and phone number. Lastly, at the end of the form is the contact information of the company to allow the customer to call or send a message to the company if he has questions about the company’s services. This form is completed by guest educators or teachers who visit schools to share their learned strategies and ideas in providing quality education to the students of the educational institution. The form contains three items wherein the first item obtains the summarized narration of the good things that the guest experienced during his visit, the second item determines the new learnings that the guest acquired, while the third item highlights the recommendations of the guest for the improvement of the educational institution’s teaching techniques. The guest must also disclose his name and the name of his cooperating educator at the last section of the form which also has the name of the school’s representative who collects the feedback form once it is completed. How the form will be submitted should be indicated whether it will be sent through an electronic mail, fax, or handed directly to the school’s administration. You may also like sample interview feedback forms. 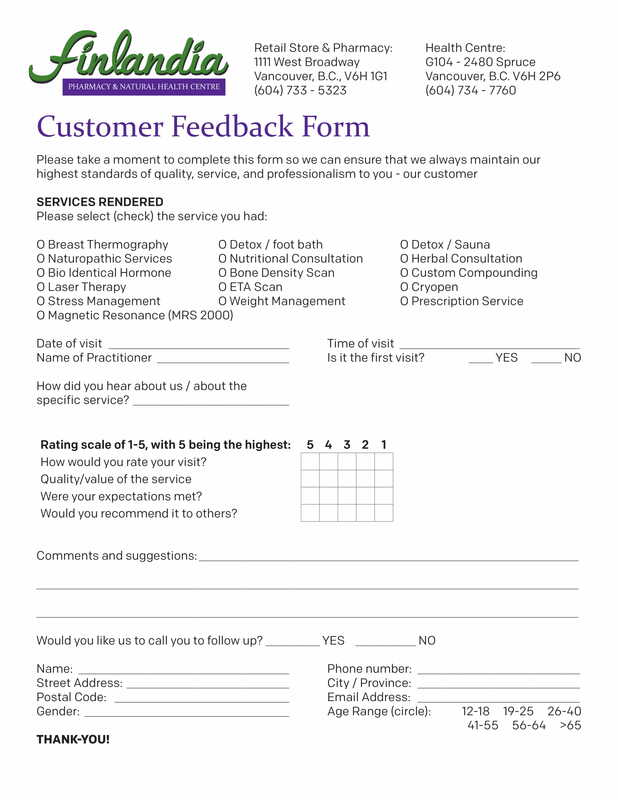 This feedback form is identical to a customer service feedback; however, it has an additional section that is intended to be used by the organization or business management. The added section allows the management to state the date of when the feedback was received, whether there are follow-up surveys and action plan needed for the guest, and the name of the representative who received the guest feedback. If an action plan and a follow-up were already provided, the representative must state when it was granted to the guest along with a summary of what has been done. 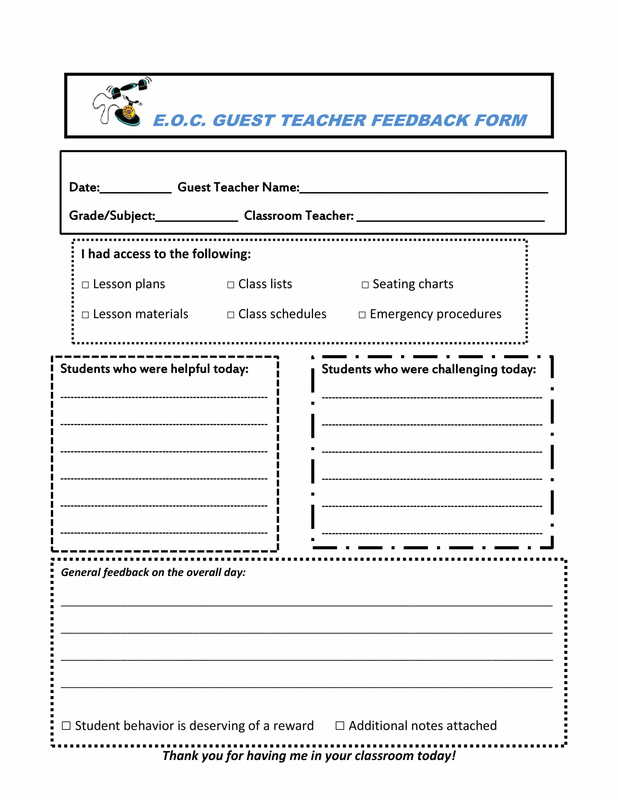 This is another type of guest feedback form that is used by teachers and educators. 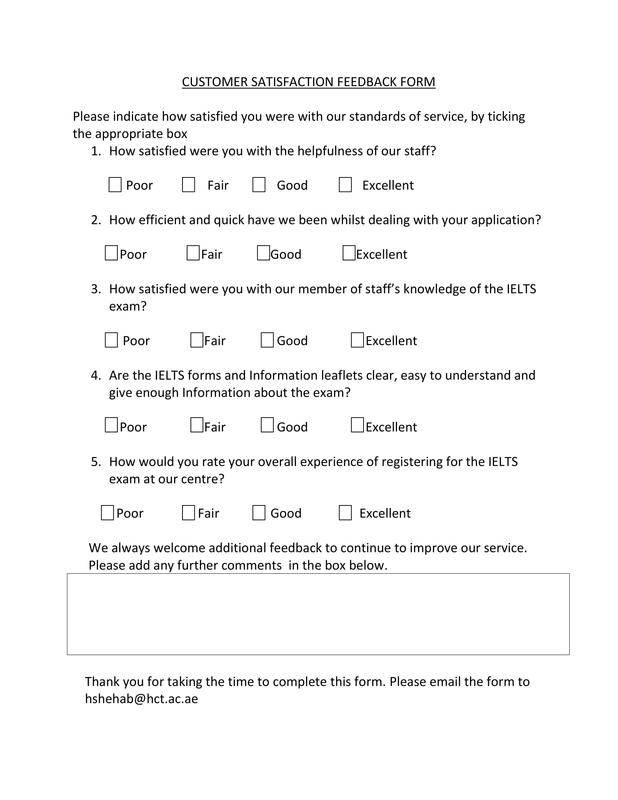 However, compared to the aforementioned guest educator feedback form, this document has more sections and includes a student evaluation area. The guest teacher must indicate what he was able to access in the educational institution whether it is the lesson plans, materials, class lists and schedules, seating charts, and even the emergency procedures that the teachers mandate in their class. The guest teacher must also enlist the names of the students who were helpful as well as those who were challenging during his stay in the school premises. The teacher’s general feedback and whether the student behavior evident in the class deserves a reward should also be stated. Additional notes that can help the local teacher in a more effective way of teaching can also be enclosed upon the submission of the feedback form. The contents found in this form includes identification of the company where the customer is transacting an agreement regarding health check services. The period of the business transaction and the type of task or project requested by the customer. To acquire the customer’s feedback, the form has a section that allows the customer to narrate his satisfaction to the services he received from the performance and ability of the staff, the quality of the company’s products, the clarity of the company’s result reports, as well as the overall impression that the company showed to the customer. You may also check out sample event feedback forms. This is the most common feedback forms that hotels use. This gathers the customer’s background information which are the customer’s age range, gender, country, means of knowing the hotel, and the purposes of the customer’s hotel trip. The rating section of the form has three categories namely the general factor category, accommodation, and a restaurant rating category. The general factor category deals with the hotel’s overall pleasantness, tidiness, staff willingness and expertise, and the availability of services offered. The accommodation category, on the other hand, is about the general appearance and the cleanliness of the hotel rooms. The restaurant category focuses on the food and the premises of the hotel restaurant. In addition to these ratings, the customer must also score the hotel’s price-quality ration and the ability of the hotel to meet the expectations of the customer. You may also see sample training feedback forms. Pharmacies, as well as healthcare providing centers, must also use feedback forms to assure that they are catering quality services to their customers and patients. 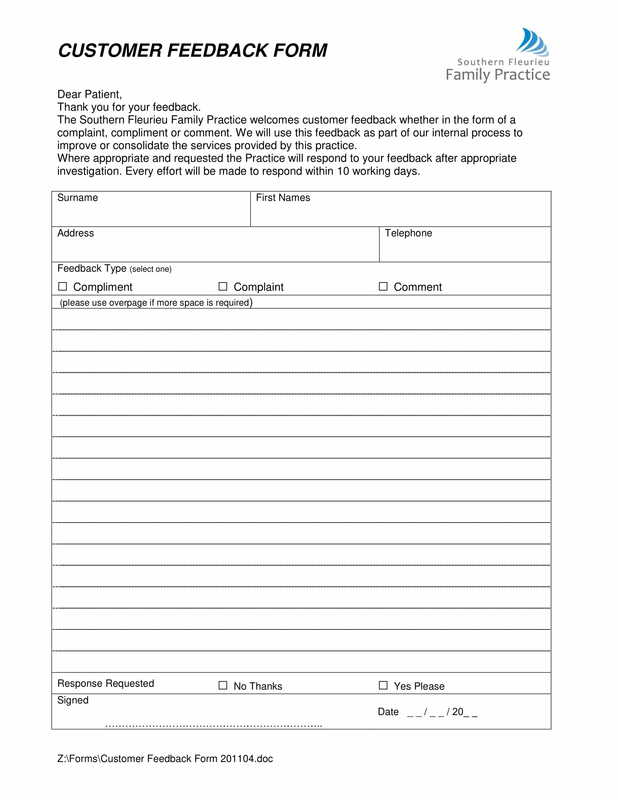 With this, a pharmacy customer feedback form is the right document to use as it will have the types of services that the pharmacy rendered to the customer along with the information that identifies when the customer requested the service and the name of the practitioner who provided the service. If the customer wants to have a follow-up for the feedback that he gave, he must complete the customer information section incorporated at the bottom of the document. This section centers on the customer’s name, street address, postal code, gender, phone numbers, email address, and age range. You may also like patient feedback form samples. Opening a pool to clients, customers, and guests can be interesting yet it requires the company to assure the safety and security of their swimmers and users. A pool guest feedback form should be completed by those who registered as users of the facility. This form rates the safety of the pool, the friendliness of the assistants, cleanliness of the facility, appropriateness of the payment amount, and the consistency of enforcing pool rules. Additional thoughts and feedback from the guest can be stated in the comment section allotted after the rating area of the form. You may also check out sample presentation feedback forms. 1. Have a section for the basic details of the respondent’s transaction. This section must be able to have the date of visit and the type of service or product that the respondent acquired. 2. Add questions and rating scales. This is where the respondent can indicate the score of how satisfied he was with the transaction that he had. Other than the purchased goods and services, the respondent must also rate the staff and employees of the company identical to providing an employee service evaluation. At the end of the questionnaire, an area for the overall score given by the respondent should be included to allow the representative of the company in summing up the respondent’s feedback and survey result. 3. Indicate an area for determining the problems of the respondent. Issues and concerns relating to the services and products that the respondent witnessed during his transaction with the company should be disclosed in this section. You may also see sample seminar feedback forms. 4. Add a comment section. Since feedback forms must not be a lengthy type of document, there are some aspects and factors that the form will not be able to cater. This is why it is significant to add a comment section whether at the end of each question or after the whole questionnaire area. The comment section must have a large space to allow the respondent in disclosing all details, issues, descriptions, and information about his feedback. 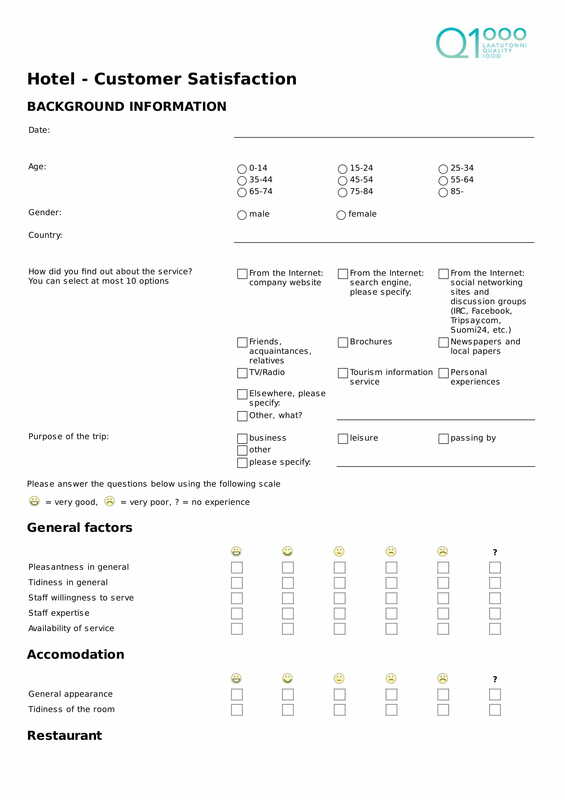 You may also like sample hotel feedback forms. 5: Place a customer information section. This section must be an optional area for the respondent unless there is really a need to acquire the respondent’s personal information. Nonetheless, the respondent’s full name, alias, residential and email address, and contact numbers must be the data that are collected in this section. This is often on the first part of the form that allows the customer be informed about the intentions of the company to collect feedback and data. How the data will be used for improving the company and the feedback duration period are also stated in this formal letter for further details about the customer feedback process. This is necessary to be included or enclosed in a customer and guest feedback form since it indicates that the client allows the company to use his data and information. However, the release agreement must also state the purpose of the data collection and feedback regarding where it will be used as well as the time allotted for it to be used as part of the company’s feedback process. Additionally, the agreement can have the contact information of the company along with their address and the identification of the agency who will be gathering the personal data of the customer to obtain a result or outcome from the customer’s feedback. In contrary to the formal letter of notice, this is indicated on the last part of the form to imply that the feedback of the respondent was being acknowledged and received with appreciation by the company. Thank-you notes can also include information about rewards and perks that the respondent can obtain once he provides the feedback and his details on the form. 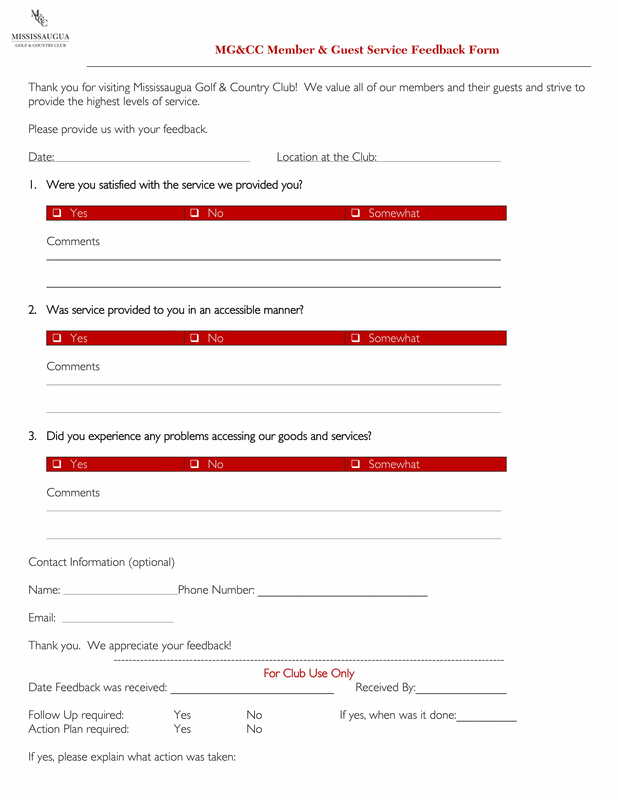 You may also check out sample volunteer feedback forms. Whitespace is one of the most significant areas of any feedback and survey forms. This is due to the need for the respondent to indicate the descriptions and reasons of why he gave the ratings for the feedback. Additionally, the whitespace can also be used for gathering the instructions and tips from the respondent. Another tip is to assure that each item is labeled properly. If items can be categorized, then the company must make sure that the categories are related to one another and that each category has appropriate labels and titles. The labels must also indicate whether the section is compulsory to be filled out by the respondent or not. 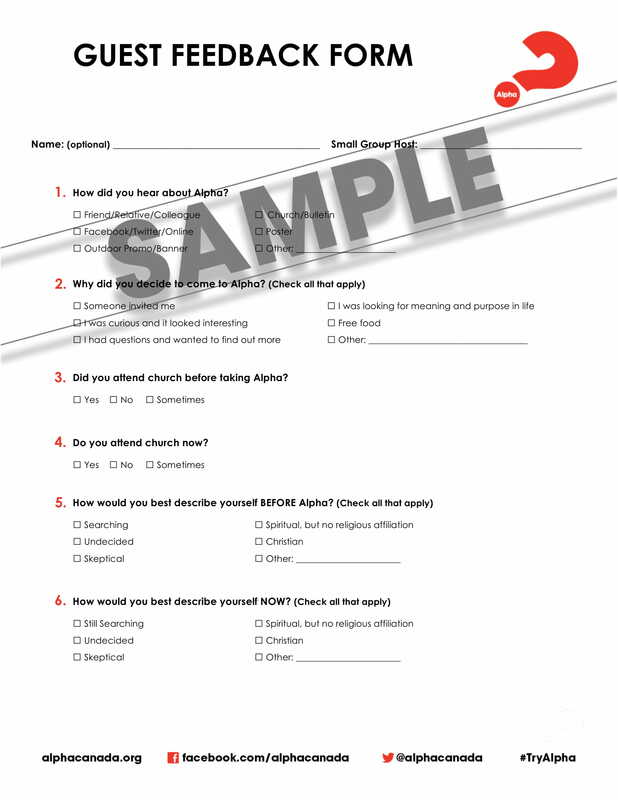 You may also see sample conference feedback forms. Lastly, customer and guest feedback forms must be shortened and must only collect the important details and rate only the significant aspects of a business wherein the respondent is involved. To secure that only the important matters are on the form, the company management must conduct a business analysis to determine what they need to know from their consumers. 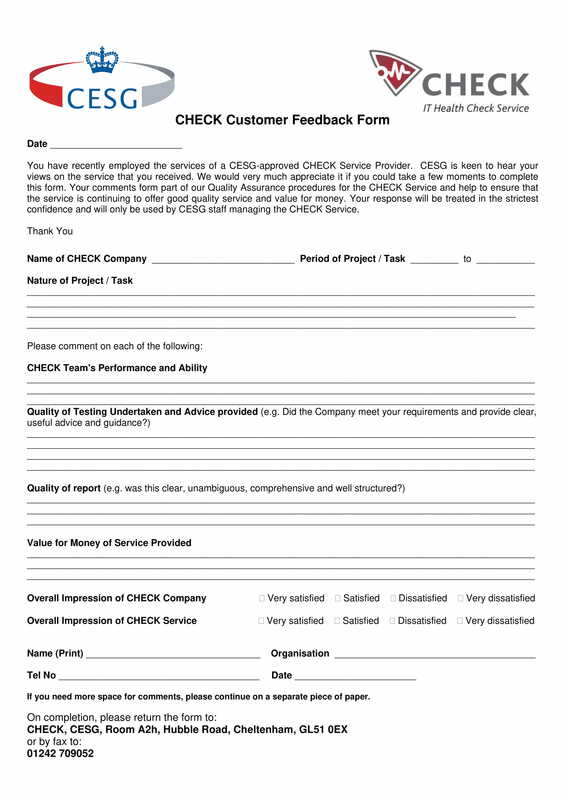 You may also like project feedback form template. Although there are tons of ways of how business companies can acquire feedback from their consumers, it is always an effective way to provide forms to the respondents since this allows the management to record the output as well. The form also provides sufficient notice and information to the respondent as it indicates a statement from the company regarding the collection of feedback. You may also check out sample counseling feedback forms. Another known benefit of using the form is that it promotes a relationship and communication between the respondent and the company. This, however, will only be evident if the company will provide a follow-up to every respondent who submitted a completed feedback form. Additionally, the feedback form also allows the company to determine if they were able to incorporate the updates and changes well enough for their consumers. You may also see sample real estate feedback forms.